HRANA News Agency – Karim Zarger, former head of the School of Radio and Television in Iran, who had been recently sentenced to death along with Marjan Davari on charge of promoting new movement of Sufism; Eckankar, was executed in Rajai Shahr prison in Karaj. 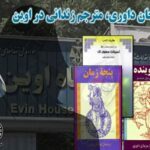 HRANA News Agency – Branch 47 of the Supreme Court rejected the death sentence of Marjan Davari, 50-year-old translator and scholar in Shahr Ray women’s prison, who had been sentenced to death on charge of corruption in 2017. One of the charges against Mrs. Davari is membership in Eckankar. It is said that the death sentence of Karim Zarger has been confirmed by the judicial authorities. 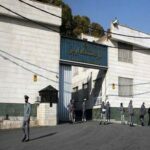 HRANA News Agency – The case of Marjan Davari, a researcher and translator imprisoned at Rey Penitentiary (Qarchak Women’s Prison), who has been sentenced to death by accusations including membership in the newly-formed Sufist movement of Eckankar, after her objection in recent couple of weeks has been referred to Branch 47 of the Supreme Court. 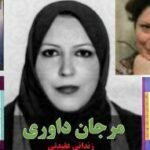 HRANA News Agency – One of the lawyers of Marjan Davari, researcher and translator on death row told, “we have objected the verdict but the court has not set a branch.” Marjan Davari, 50, after being transferred from women’s ward of Evin prison to the prison in Rey (Qarchak Women’s Prison) in February, was sentenced to death. One of the charges against Ms. Davari is membership in the emerging movement of “Eckankar”. HRANA News Agency – A 50-year-old researcher and translator has been sentenced to death in late January. She was transferred from women’s ward in Evin to Rey prison (Gharchak of Varamin) at the same time. One of the charges against Ms. Davari is membership in Eckankar. This verdict has recently submitted to her. 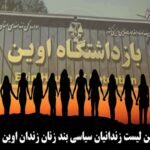 HRANA News Agency – In women’s ward of Evin prison, known as Nesvan ward, there are many mothers along with other women who are kept in a bad environment, phone calls are not allowed and visits are very limited. 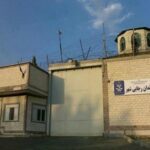 This report is trying to give an overview about the condition and status of 24 female political-security prisoners in this prison. 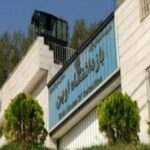 HRANA News Agency – In women’s ward of Evin prison, there are many mothers along with other women who are being kept in a bad environment, phone call is not available and visits are very limited. The following report is trying to give an overview about the condition and status of 24 female political prisoners in this prison.